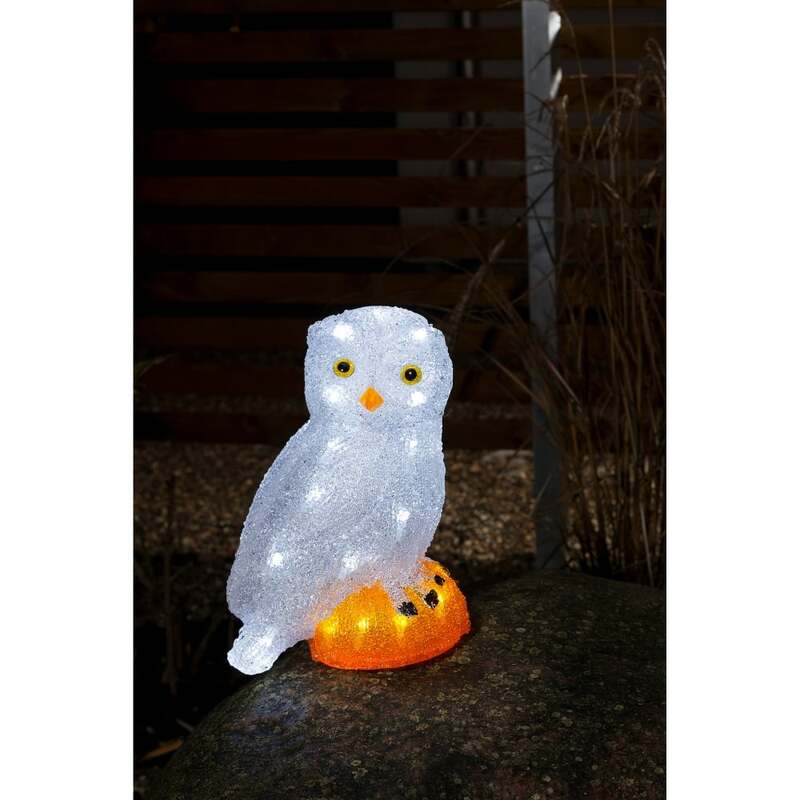 Konstsmide white acrylic Owl with 32 white LED's throughout the shape. This quirky owl is sitting on a log keeping his eyes wide open whilst watching the world around. A perfect addition to your external Christmas decoration this festive season. This product code is 6185-203.